Like you the first time I saw a red panda was at a zoo – in Detroit. A beautiful animal indeed. See that’s why (on the whole) I can’t be against zoos, they allow people to see creatures they never normally would and do some great work in conservation and education. The video of the Red Panda and the rock made me smile. 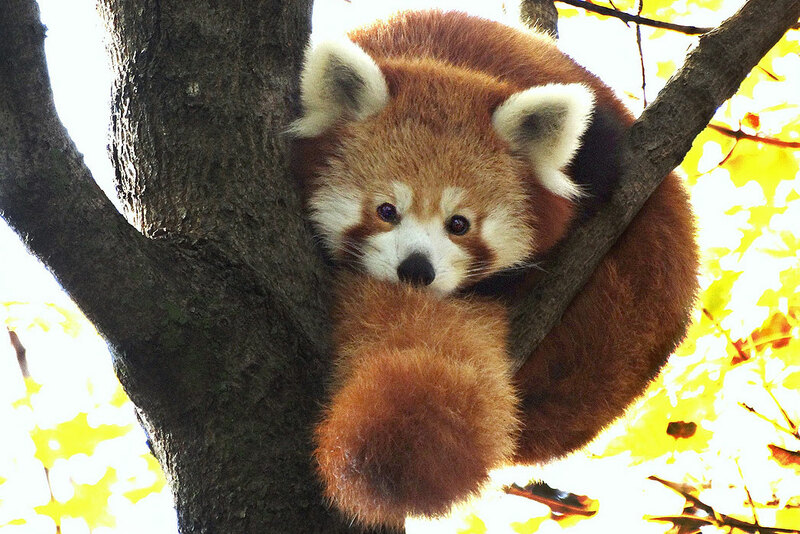 I didn’t realize the Red Panda is so adorable.Now I have a new favorite animal! He sure is a cutie! But I’m told that it’s often the cute ones that are quite vicious. Boris is a great name! Oh yes, sometimes cuteness hides a quick temper, I suppose their cuteness could be a defence mechanism to lull predators into a false sense of security. I didn’t know red pandas existed. They’re adorable! I’ve never seen a red panda before. But that picture looks soooooo cute. Oh, I love Red Pandas! They are so unique. And adorable. I love red pandas! I saw one at a zoo once and fell in love =) Thanks for visiting my blog!